Thanks to all of you who entered our recent competition to win one of three copies of The Badge (starring Billy Bob Thornton and Patricia Arquette) on DVD, courtesy of DNC Entertainment. Congratulations to the three of you, we will be sending the DVDs to you as soon as we are able to. If you didn't win this time, check out our competitions page for our current giveaways. 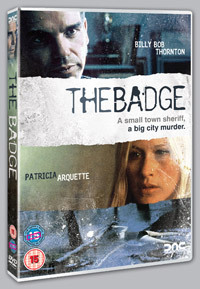 The Badge is a classy American thriller featuring Billy Bob Thornton as a homophobic Sheriff, William Devane and Patricia Arquette (True Romance and Stigmata). 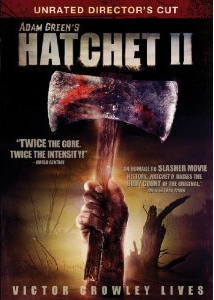 It was released on Region 2 DVD on March 31st from DNC Entertainment. 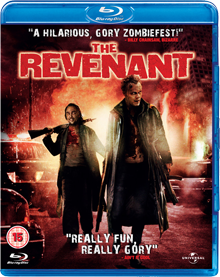 The Revenant does something we all know you just should not do: it tries to be a modern cult classic.